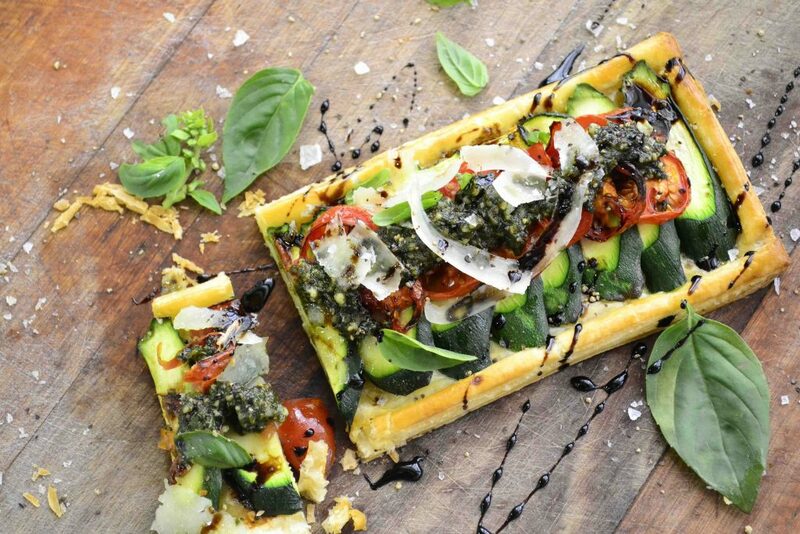 This courgette, cherry tomato and basil pesto tart is an incredibly easy, incredibly delicious recipe for a yummy vegetarian meal on Meat-free Monday. It is the perfect addition to a ‘harvest table’ styled meal or as a dish to impress friends at a casual lunch or dinner. 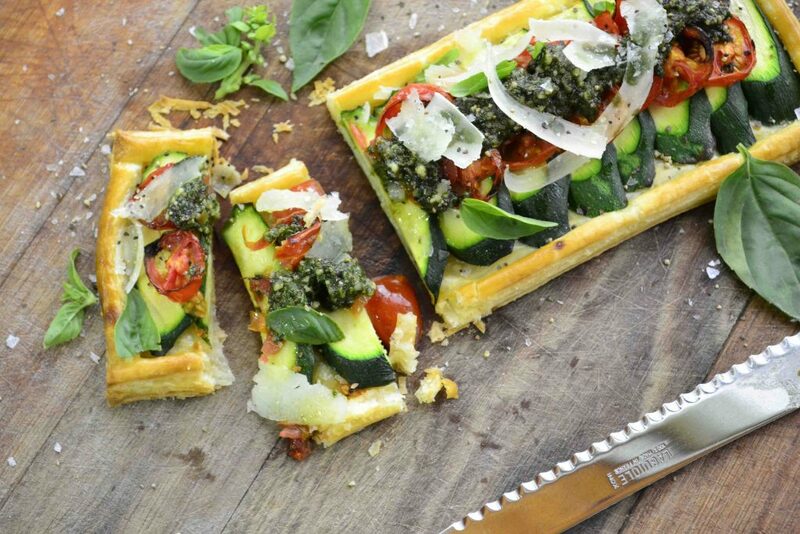 Being super versatile, it lends itself well to using up left-over veggies or whatever else you fancy. I used my own puff-pastry (recipe to follow in the future) but store-bought works just as well and is far less of a mission. Give it a try – it is absolutely delicious and good-looking. 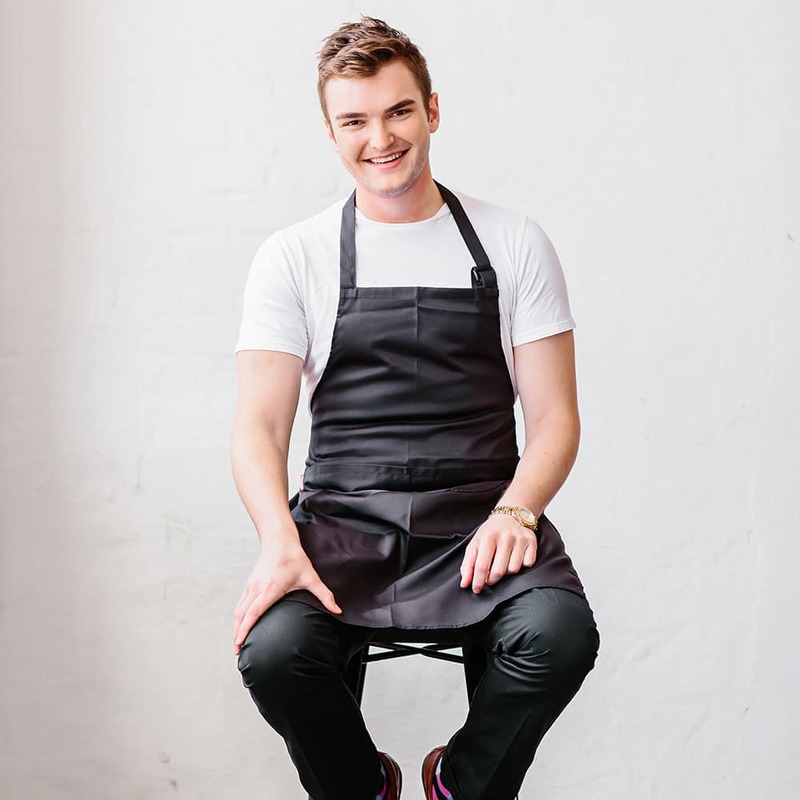 Crack the egg into a bowl and whisk. Cut the puff pastry to the desired size and brush with the egg wash. If you want to, cut a thin strip for each side and make a border. Slice your courgette at an angle to create thin slices. Cut the cherry tomatoes into slices too. 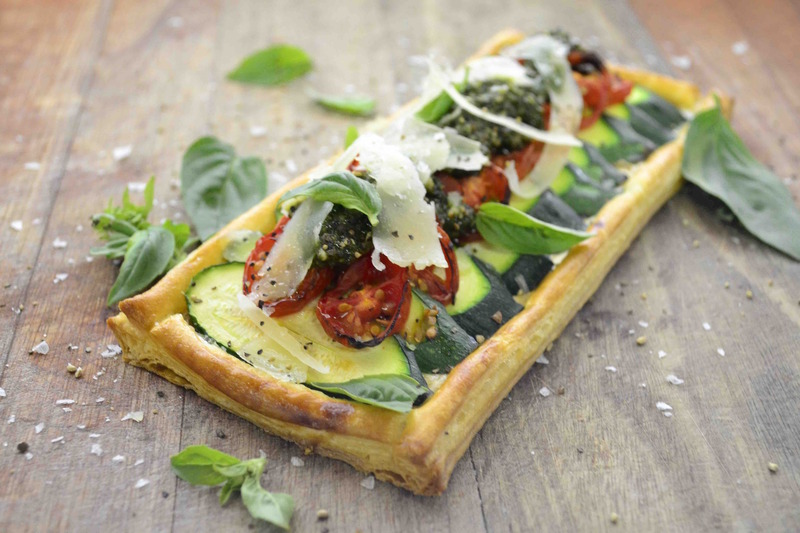 Place your courgettes, overlapping, onto the egg-washed pastry followed by the tomatoes. Sprinkle with salt and pepper and bake for about fifteen minutes until the base is crisp. 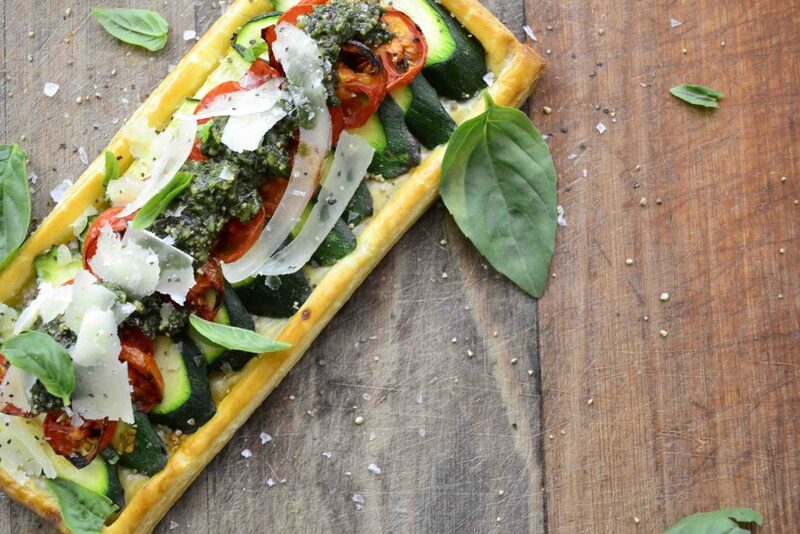 Spoon the basil pesto over the centre and top with shaved parmesan. If desired, drizzle with balsamic reduction.